This week Bomford Turner have delivered a series of training courses in the USA at our East Coast and Mid West importers headquarters, RLP Parsons Equipment – Ohio. 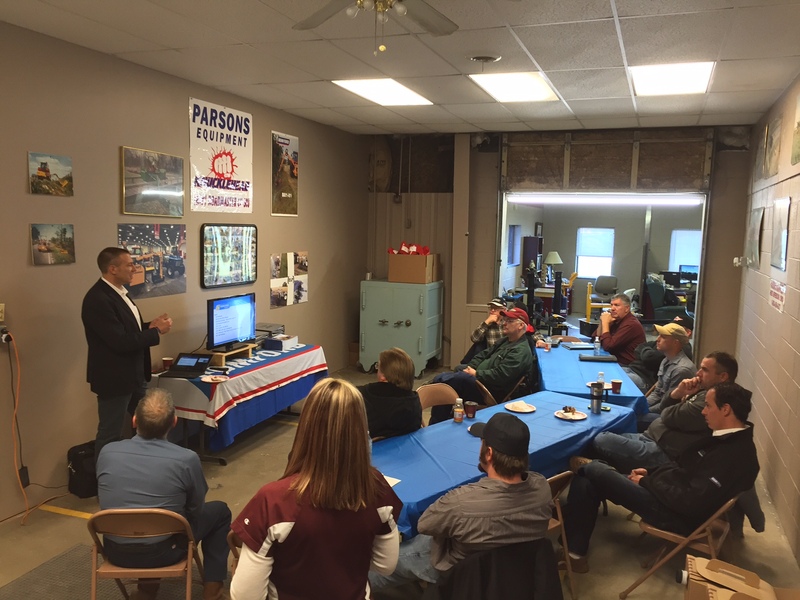 Parsons hosted the event for us, and invited their dealer network in for some sales and service training. Working demonstrations, along with PowerPoint and practical service demonstrations enabled a high level of information to be passed over to our partners. The training continues to support the growth in our position in the North American market, and enables Bomford to undoubtedly offer a higher level of customer care.